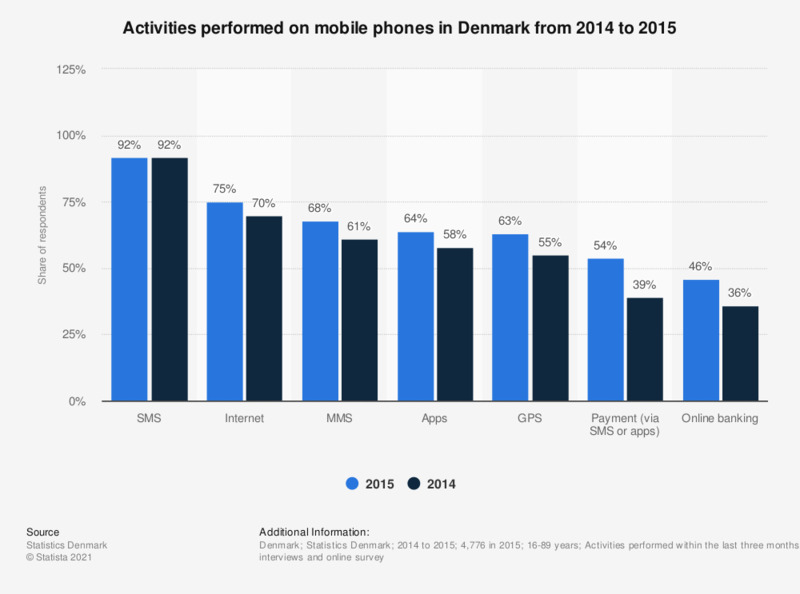 The statistic displays the activities performed on smartphones in Denmark from 2014 to 2015. In both years the respondents used their mobile phones mostly for writing SMS (92 percent). Activity that grew most by percentage of users was digital payments that increased by 15 percent from 2014. The statistic shows the number of inhabitants who are officialy registered with the Danish authorities. Activities performed within the last three months before the survey. Where do you watch content on your smartphone?